Quests are a part of the game where you can unlock additional content, prizes and rewards. In order to do quests, you must earn MONOPOLY Bucks by doing tasks within the Task Manager. 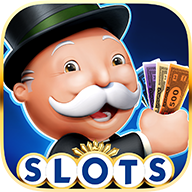 Quests are interactive and introduces you to a variety of characters within MONOPOLY Slots. Be sure to complete quests as rewards get bigger and better for each world.